New Curbside Pickup! Call Ahead And We'll Have It Ready. Call For Details. 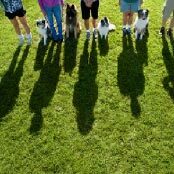 Share "Is Your Dog Socializing Enough?" Socializing your dog is the process of exposure and habituation to the environment around it. Socialization is important because in addition to genetics, it is the most important factor in determining the temperament of your dog. A dog’s temperament will determine how well behaved the animal is around other animals and people. A dog that is poorly socialized can be dangerous to others and itself. Socializing your dog should begin when it’s a puppy. Some dogs will already be prone to certain behavior given the genetics and attitude of it parents, but every puppy is impressionable. The period from 3-16 weeks of age is the most critical socialization period for a dog. Puppies that are well socialized develop into safer and more enjoyable dogs because they are more comfortable in a wider variety of situations. Socialized dogs are more peaceful and live happier lives than dogs that are constantly stressed out by their surrounding environment. Proper socialization requires exposure to different types of people, animals, places, and experience so that your dog will be more comfortable with its surroundings later in life. Depending on your lifestyle, your dog will need to adjust to experiences such as the garbage trucks, sound of trains, crying infants, and other dogs. The more bases of socialization you cover while the dog is a puppy, the more likely the puppy will be able to handle these experiences with a good temperament when it becomes an adult. When a dog becomes excessively shy, fearful, or aggressive, then it’s a sign that your dog isn’t socializing enough. Poorly socialized dogs are more likely to react with fear or aggression to unfamiliar experiences. For example, they will overreact when you bring friends over or when the doorbell rings. Be careful about where you take your dog to socialize and which professionals you trust to handle your dog. Even a dog that is well socialized can develop behavioral problems after a negative experience. Try to keep your dog from experiencing negative socializations such as being teased by other dogs or children when out in public. During socialization, if you witness that your puppy is hiding, drooling, shaking, clawing, or yelping, then it’s a sign that your puppy is not having a positive experience with his environment which could lead to further behavioral problems when your dog becomes of age. If this happens to you, either change your method of socialization or seek assistance from a professional trainer. Keep in mind that socialization is more than just exposure. Socialization needs to be a positive association between your dog and its surroundings. Throwing your pet into situations around people and other animals could do more harm than good. If your dog continues to behave inappropriately then consult a professional trainer about behavior modification. 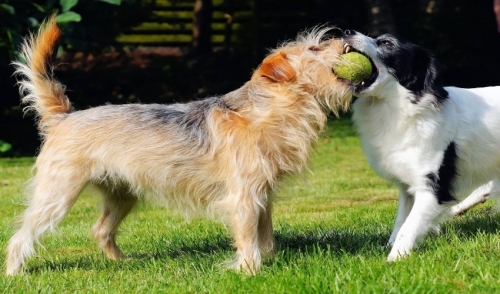 Socialization is a lifelong process, as your dog will continue to learn, adapt, and grow. Be sure to socialize your dog so that it develops proper social skills and grows into a happy and confident adult. © 2019 Pet World . All rights reserved.